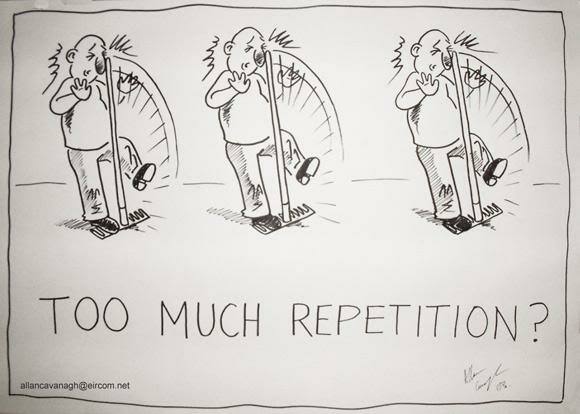 Repetition Cartoon: free to use cartoon of repetition. Image may be used non-commercially with a link back to my home page www.caricatures-ireland.com. For commercial use contact me below. Suggested tip for non-commercial use: €2 More cartoons here.